Copyright: The Chelsea International Photography Competition recognizes that You, the author of the image, retain full ownership of the copyright in each Entry. 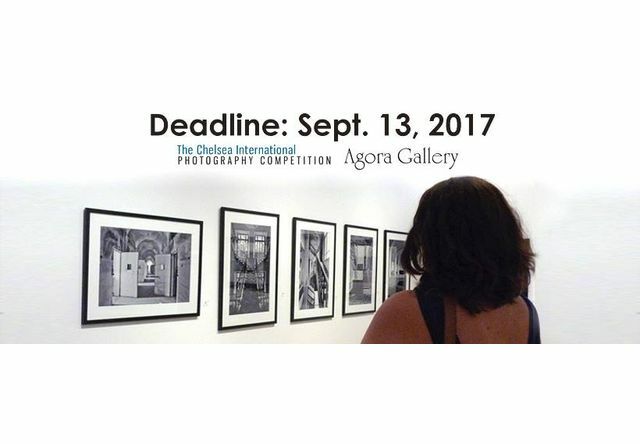 All entrants understand that any image submitted to the site may be used by the Chelsea International Photography Competition for marketing and promotional purposes of the site only, for a maximum of three years after the entry is uploaded. Entry fee: Professional category is $45 for up to 5 images with a fee of $5 for each additional image. Amateur category is $25 for up to 5 images with a fee of $5 for each additional image. Exhibition at Agora Gallery will be held from January 27-February 7, 2018, of photographs selected from two categories. A $500 cash prize will be awarded to 10 selected professional photographers. Image requirements: at least 72 dpi and 200 KB; the shortest side of the image must be at least 338 pixels; JPG/JPEG format; under 5 MB in size and 7500 x 7500 pixels in dimension.